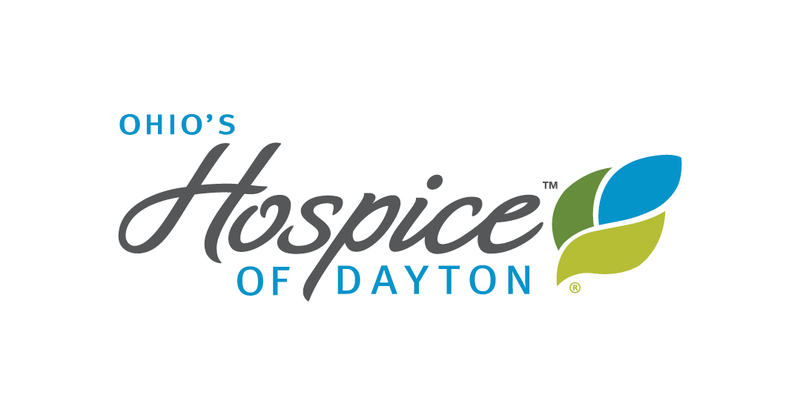 Several construction projects are underway on the Hospice of Dayton campus on Wilmington Avenue. 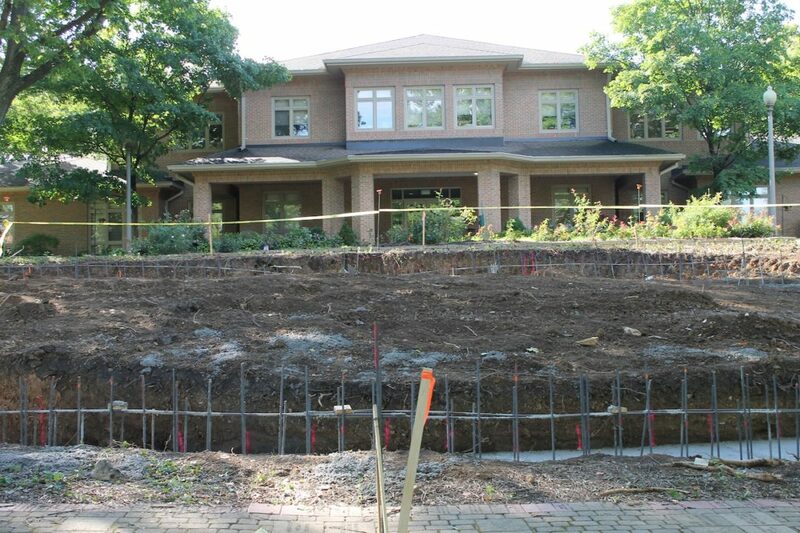 The projects are underway with a goal of improving campus accessibility and safety, and to enhance the experience of patients and visitors who come to the Hospice House and campus. 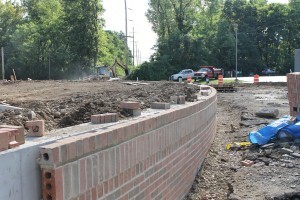 A new main entry is being created at Irving Avenue, with a brick wall under construction at the outskirt of the campus. Upon completion, there will be new signage to mark the new main entry, and a separate entry off of Wilmington Avenue will be closed to through traffic to create a safer access to the campus. 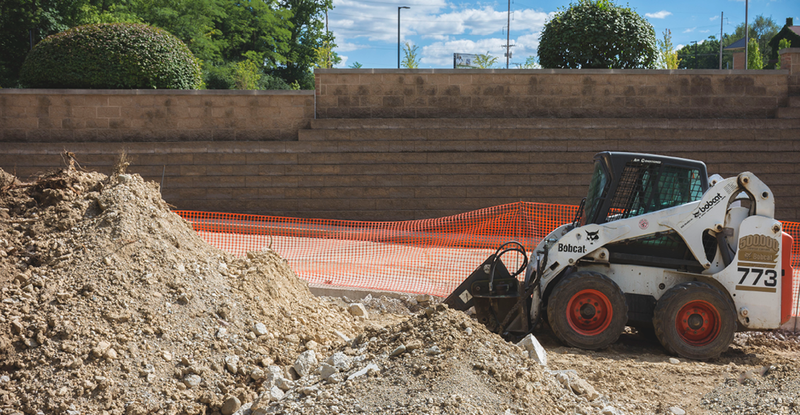 A second project involves the construction of a Veterans Memorial to honor servicemen and women for their sacrifice and patriotism. 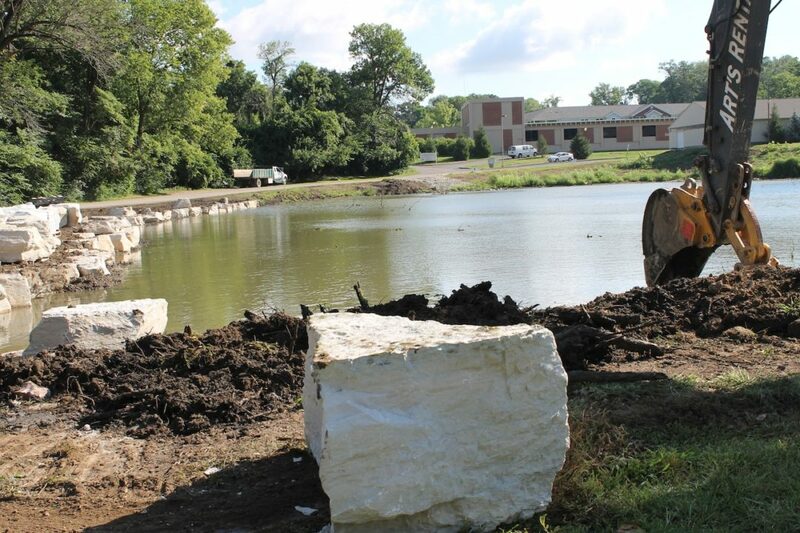 The new memorial will be located near the north pond adjacent to Wilmington Avenue with plans for completion and dedication to coincide with Veteran’s Day in November. 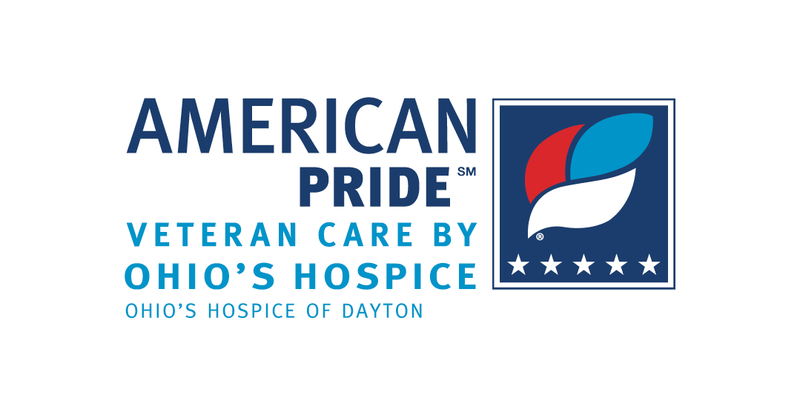 The project is being funded by donors and information about contributing is available by contacting the Foundation Department at 937-258-5537. In addition to the Memorial, a limestone retaining wall is being added to the north pond to prevent erosion. 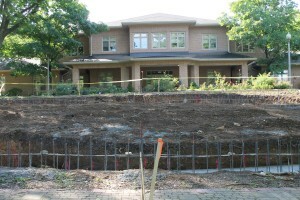 The retaining wall and landscaping will also beautify and enhance the pond area.